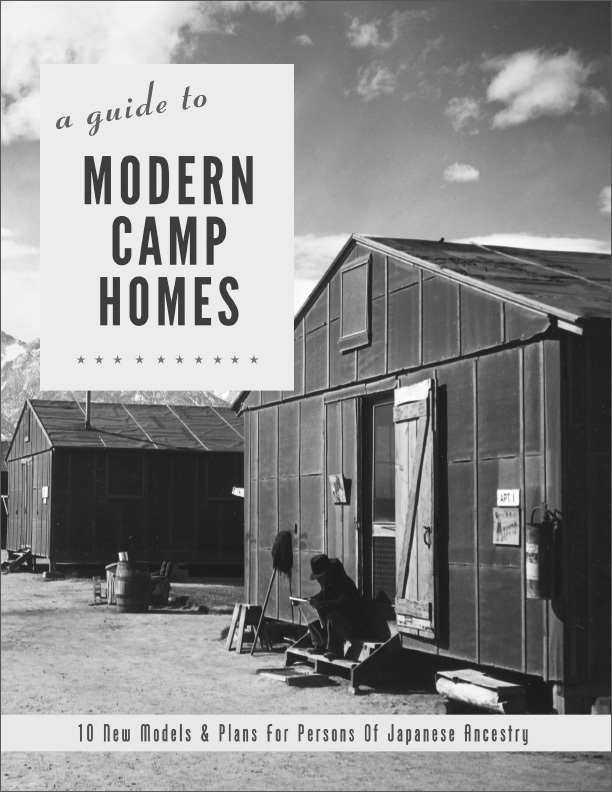 The artist's book, A Guide to Modern Camp Homes: 10 New Models & Plans for Persons Of Japanese Ancestry, is both fictional and factual, and gets to the heart of something I’ve long thought about. What was it like for members of my family, and for the larger Japanese American community, to be uprooted from what they knew as their safe, personal space — their home — and moved to empty, dusty, communal rooms smelling of freshly cut wood? When you remove an entire ethnic group from a region, as 120,000 Japanese Americans were in 1942, you displace a community diverse in social class and income, which is reflected in wide ranging types of housing, from urban apartments to rural farmhouses. They ended up living for years in military-style barracks, the original design of which was meant to be temporary. The structure of this book is inspired by The Book of Modern Homes (right), published by Sears, Roebuck and Company in 1940. The company’s home catalogs, produced from 1908-1940, featured house models with names like “The Cape Cod” and included illustrations and upbeat descriptions of home features. 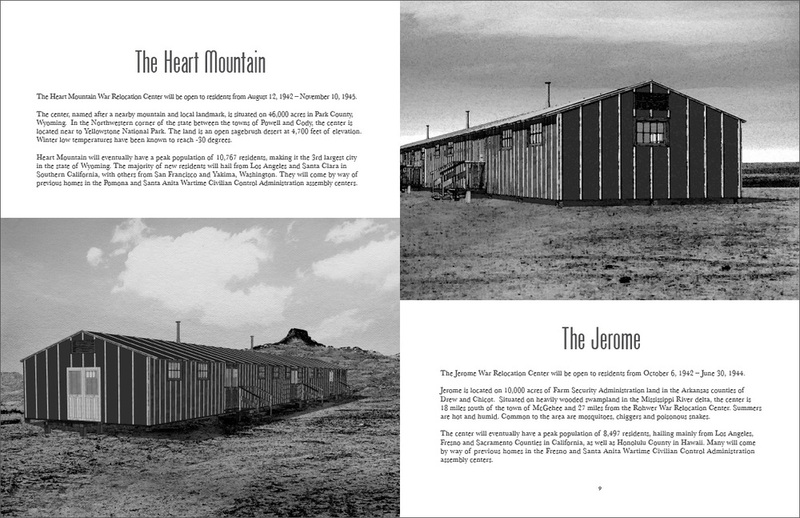 Thus it served as both a reference to the idealized American home of the period, and a vehicle to describe the specific living conditions confronted by the Japanese Americans. Architectural drawings were commissioned and photographs were used from Library of Congress and the National Archives. 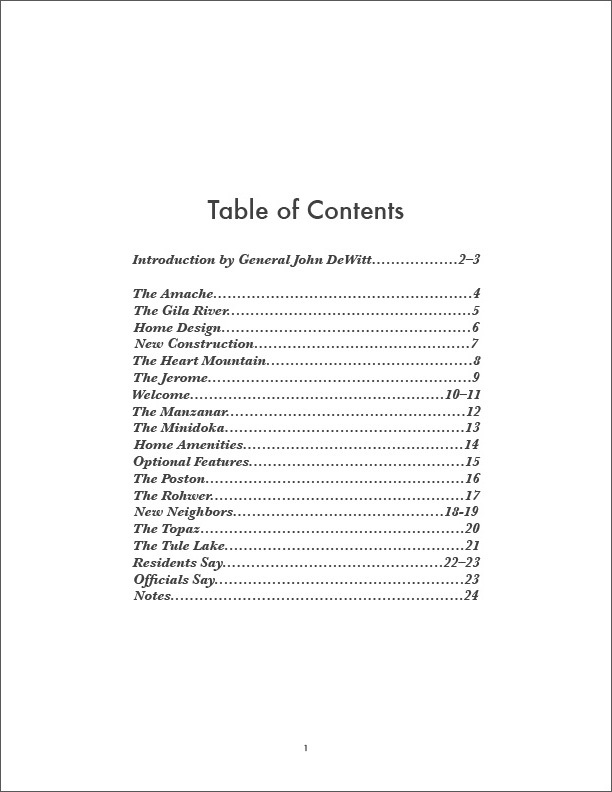 The design and use of language came both from the home catalogs as well as U.S. Government documents of the time. Where testimonials would exist in the home catalogs, quotes by both those incarcerated and government officials further describe the living conditions and institutional racism prevalent at the time. Open edition artist’s book, often given away at lectures, but also available for purchase through the Japanese American National Museum store here. Architectural drawings by Libby and Patrick Castro of LP/ws Design Studio. Photographs by Ansel Adams, Clem Albers, Fred Clark, Hikaru Iwasaki, Dorothea Lange, Tom Parker and Francis Stewart. Quotes courtesy of Densho: The Japanese American Literacy Project.